In an effort to top the 100-plus guest list at the 2013 convention, Creation announced the addition of several new guests, on Wednesday. 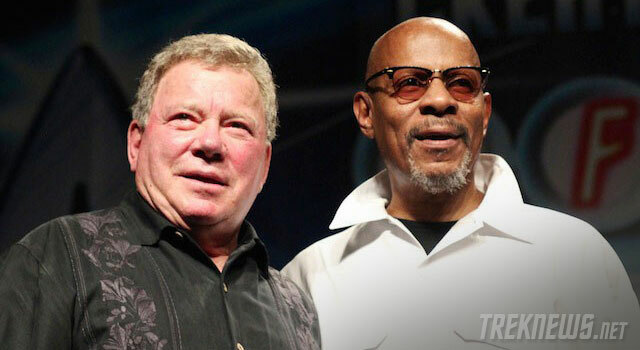 Avery Brooks, Robert Duncan McNeill, David Warner, Ethan Phillips, Cirroc Lofton, Denise Crosby, Catherine Hicks, Paul Lynch, Don Stark, Sally Kellerman, Ronald B. Moore, Jim Metzler, and Eric Pierpoint have all been added to the 2014 line-up. With 50-plus guests announced thus far, Creation has promised to add at least 50 more. Previously announced guests, include Jonathan Frakes, Brent Spiner, Michael Dorn, Marina Sirtis, LeVar Burton, Gates McFadden, William Shatner, Kate Mulgrew, Scott Bakula, Colm Meaney, Walter Koenig, Nichelle Nichols, Chase Masterson, John de Lancie, Nana Visitor, Rene Auberjonis, Suzie Plakston, Tim Russ, Anthony Montgomery, Max Grodenchik, Aron Eisenberg, John Billingsly, Tony Todd, Robert O’Reilly, JG Hertzler, and Grace Lee Whitney. The Las Vegas Star Trek Convention takes place July 31 – August 3 at the Las Vegas Rio All-Suite Hotel and Casino. To purchase tickets, visit Creation Entertainment.